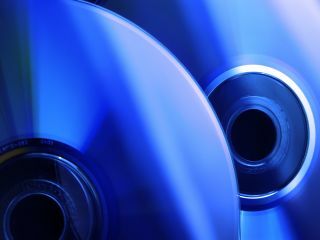 Blu-ray players housing component connections have been hit by a new ruling, which sees image constraints added to Blu-ray discs in 2011. As from the beginning of January, Blu-rays can have something called an Image Constraint Token embedded into the discs. This is a piece of code that can restrict image quality to 540p – a smidge better than DVD – when played back through component cables. This is all because of the AACS Adopter Agreement, which came into force 1 January 2011. The reasoning behind this is that studios want you to start using digital only connections, which is the first step in phasing out analogue technology on Blu-ray players by 2013. Chris Jenkins, editor of Home Cinema Choice magazine told TechRadar that this was an inevatable change. "The reason the analogue HD option is going is that software companies think the 'analogue hole' in copy protection leaves their products open to piracy," said Jenkins. "Phooey, we say - pirates aren't that concerned about HD quality. But is this analogue Armageddon a bad thing, or a big 'so what?'. "Some specialist installers still like to use component video, as it's more reliable over long distances than HDMI, and easier to split into multiple signals; some projector users find it more convenient too. "But the vast majority of users will take to HDMI without problems, and, in the end, you won't have a choice. Analogue audio outputs are the next to go. Tear your hair all you like, but the future is all digital, and for good or ill we'll all have to live with it." If a Blu-ray has been authored after 1 January, and you still watch movies through component on your Blu-ray player, then you will have to watch out for a new Image Constraint Token logo on the packaging – or you'll be watching the movie through fuzzy eyes.